Kelli Anderson is a designer interested in elegantly exposing the world's complexity—especially as it pertains to scientific concepts—through interactive demonstrations. Obsessed, in particular, with “lo-fi magic”, she believes that an audience can be best engaged through handheld experiences. 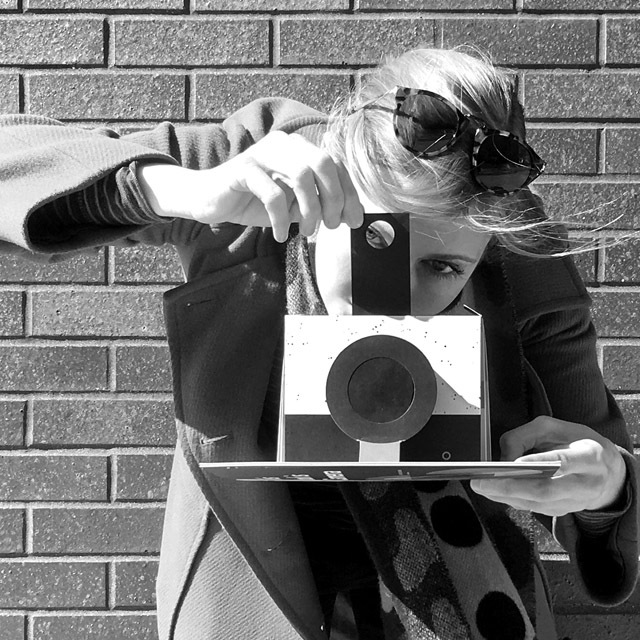 Prior projects include a pop-up book that becomes a pinhole camera (This Book is a Camera), her design and animation for Tinybop’s acclaimed Human Body app, her paper record player wedding invitation, or her infographic work. 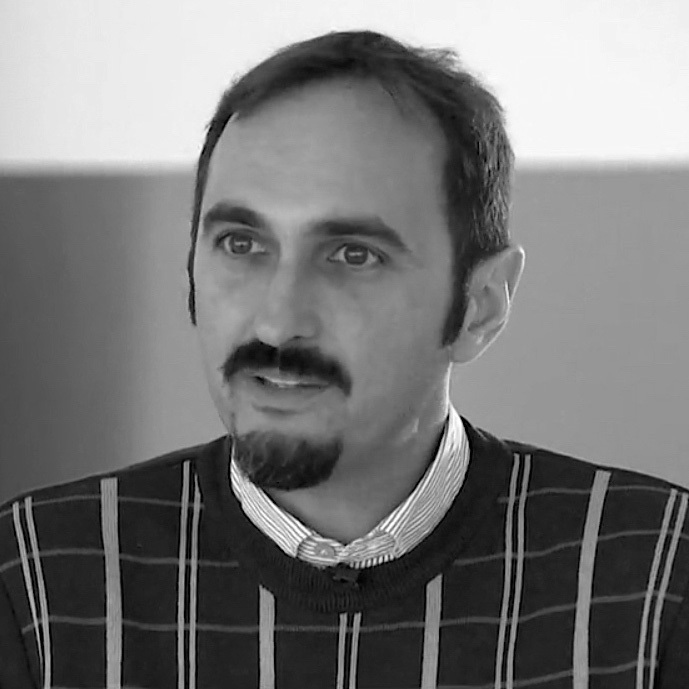 Associate Professor at Politecnico di Milano, Head of the BSc and MSc in Communication Design, Paolo is member of the Design PhD board at Politecnico and co-editor of the journal “Big Data and Society” (SAGE publications). Founder and scientific director of DensityDesign Research Lab, he is member of the Steering Committee of the »Reassembling the Republic of Letters« COST Action where he leads the Working Group on Communication and Data Visualization. 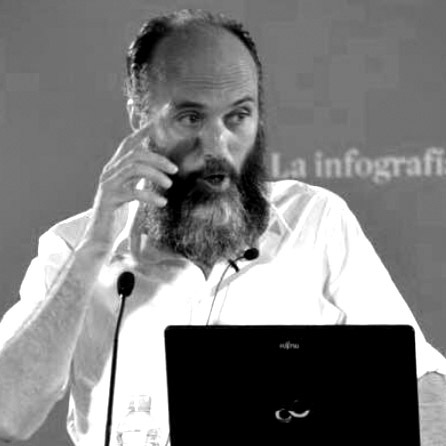 He participated to several applied research projects funded by private and public organizations where Communication Design and Data Visualization competences have been used to face a vast range of complex issues, from bringing data in the hands of non-expert users – the public - to mapping the evolution of techno-scientific controversies on the web and supporting the peculiar inquiry process of Digital Humanities scholars. The activity of the DensityDesign research lab focuses on the visual representation of complex phenomena and the development of interfaces and tools for enhancing the culture and the practice of Data and Information Visualization. Jaime Serra is a leading figure in infography. Since the 90’s, his pioneering work for many international newspapers has played a key role in shaping infographic as a genre, pushing the envelope of its application domain and defining it as a new language for making information accessible. His work encompasses organically exhibits, installations, infographic pieces in editorial formats. Acknowledged with more than a hundred awards and honors, Jaime has lectured and presented his work throughout the world in events, meetings and conferences on journalism, design and data visualization. This edition of 2CO will be enriched with a series of workshops. The 2CO workshops program will take place immediately before the beginning of the conference’s works, on tuesday 21 and wednesday 22 november. Processing complexity. How to design great information graphics. In-camera simplicity. Animation basics for data presentation. Dialograma, el juego de diagramar la dialéctica. Visualizing ethical values in Design praxis: the challenge of professional deontology towards the strengthening of democracy. Design of information oriented to the exhibition of complex data. Exhibition Design: Structure in space. Space between us.